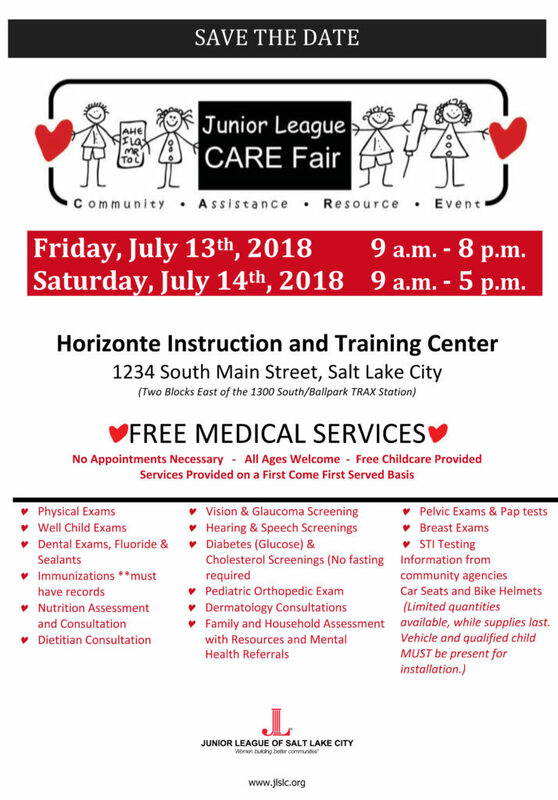 The Junior League Community Assistance and Resource Event (CARE) Fair is an annual, two-day event organized and directed by the Junior League of Salt Lake City for families needing routine medical, dental, and vision services along with community assistance information. Typically, major barriers (i.e., time, language, financial, and transportation constraints) prevent some Utah families from receiving many basic health and human services. The Junior League CARE Fair eliminates many of these barriers by bringing together community agencies and medical service providers at one time and in one place. These medical services are provided free of charge at the Junior League CARE Fair! If you’d like to volunteer at CARE Fair, click here! If you’d like to be a nonprofit Community Partner at CARE Fair, click here!